I haven't actually experienced the whole doppelganger bit in my entire life as far as I know. But if I ever have a double somewhere out there that want's to live my life I'd force him to do all my chores too. Why is it that those doubles just do all the fun stuff? I haven't heard a single doppelganger story that had the double wash all the dishes while the original was out partying. 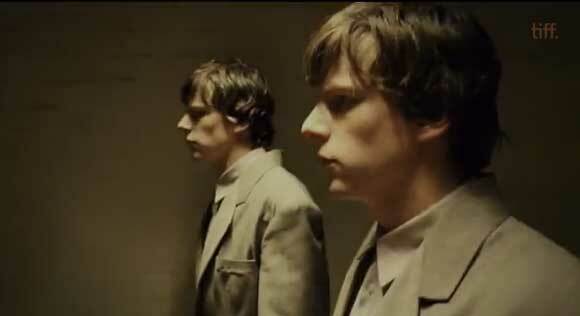 Anyways, The Double movie that stars Jesse Eisenberg is about a guy who's life eventually gets taken over by a double or s guy that actually looks like him. I just hope the double knows how to clean up the house and all the other stuff the original one needs to do just to stay alive. Go ahead and watch the trailer after the break and hear the blues play.